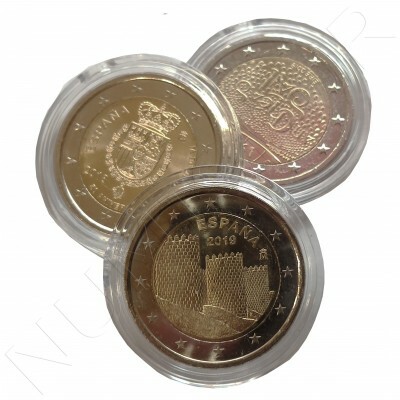 The structure of the obverse is common to all the countries from the Europa Star programme, it presents a star, extracted from the logo. 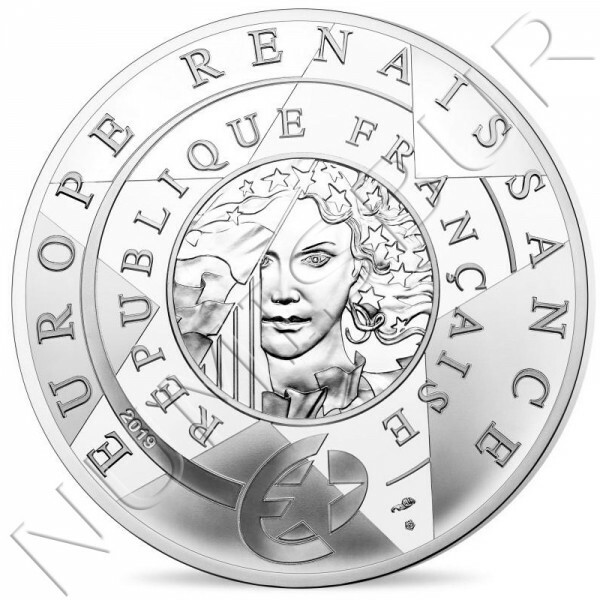 This year’s thematic and the name of the issuing country are inscribed in a circular arc. 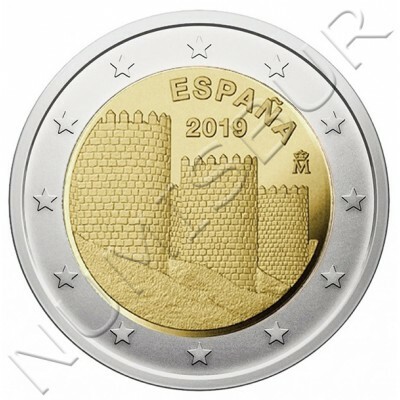 In the center of the obverse, we can find the national element. 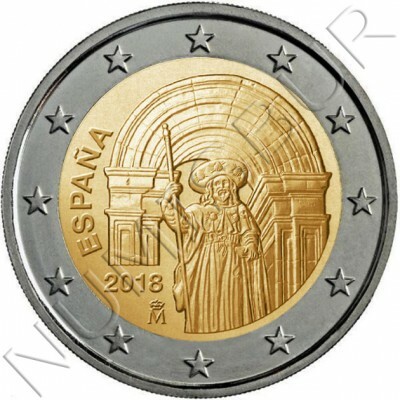 The Europa goddess is dressed with floating flags. 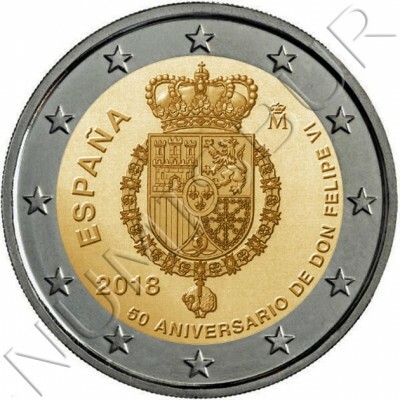 Yeardate and mintmarks appear on the bottom of the coin. 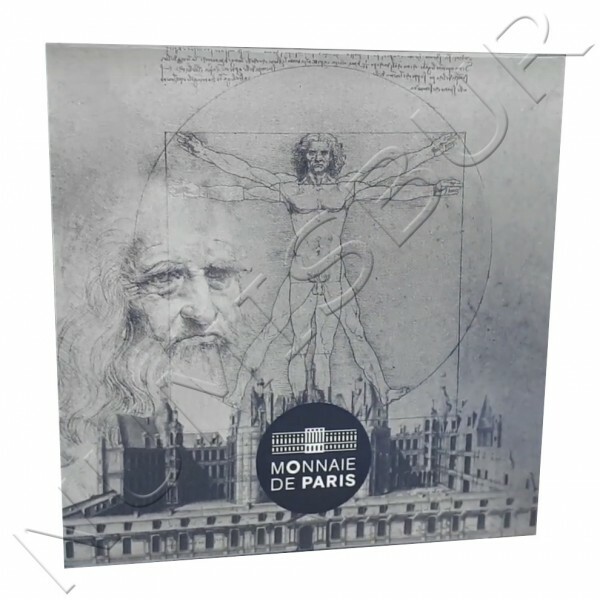 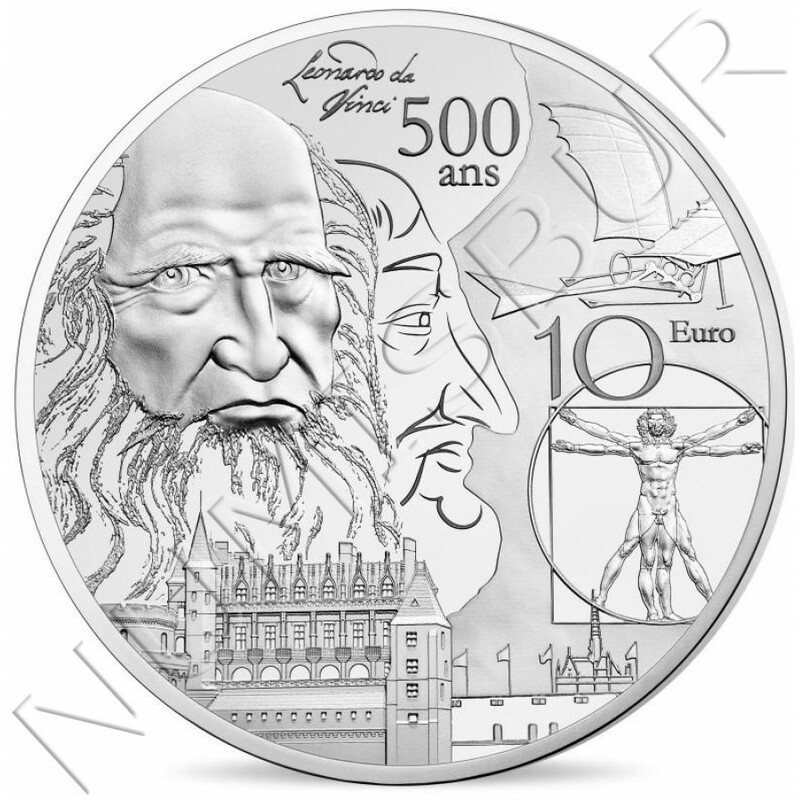 The reverse highlights the Renaissance era with three key symbols : Francois Ist, the ultimate symbol of Renaissance period in France, Leonardo da Vinci with two of his masterpieces, the Vitruvian Man and the flying machine. The lower part depicts the Amboise Castle where da Vinci was laid to rest.